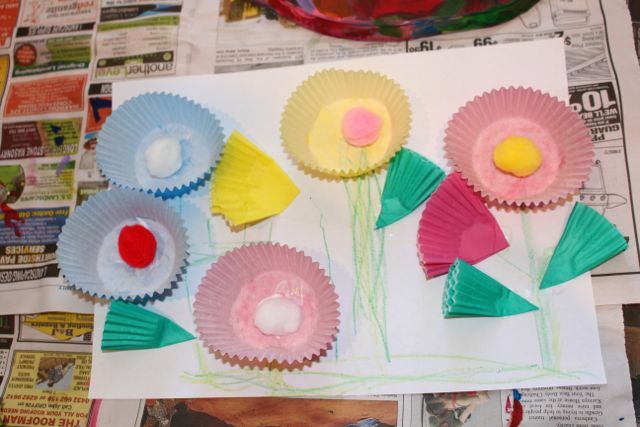 A few weeks back at playgroup the craft activity was making a banner of flowers. 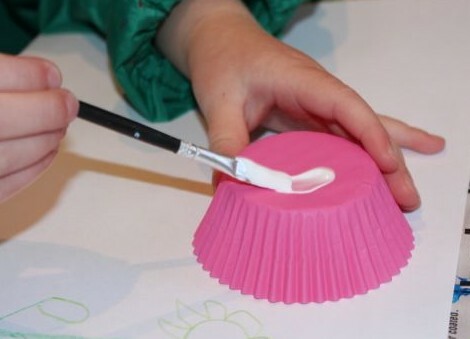 The stems and leaves were drawn on in crayon, and the flowers were patty pan and muffin cases. Today A made a smaller version of this flower picture at home, with the addition of some muffin case leaves. 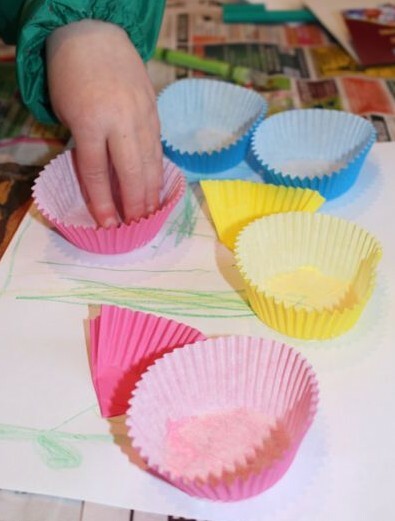 A drew some stems on where she wanted her flowers to be, and then she began adding the muffin cases. We had a mix of red, blue, yellow and green cases. Some of the cases were glued to the stems whole to represent open flowers, while others were folded in quarters as budding flowers. The open flowers received a pom pom centre and the green cases were folded into eighths to make leaves. A glued these onto some of the stems. She also added some crayon grass to the bottom of the picture to complete the scene.